"…a Pakistani soldier opened fire with an automatic rifle, pumping multiple rounds from just 5 or 10 yards away into an American officer, Maj. Larry J. Bauguess Jr., killing him almost instantly. 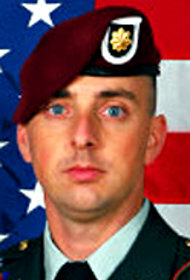 An operations officer with the 82nd Airborne Division from North Carolina, Major Bauguess, 36, was married and the father of two girls, ages 4 and 6." "Those who came under fire that day remain bitter about the duplicity of the Pakistanis. Colonel Kuchai remembers the way the senior Pakistani officers left the yard minutes before the shooting without saying goodbye, behavior that he now interprets as a sign that they knew what was coming." 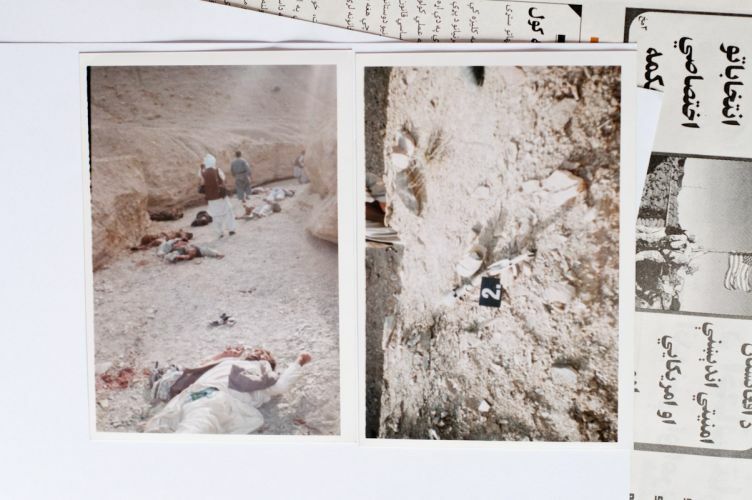 But realpolitik aside Ms. Gall – who is an award winning, experienced reporter covering Afghanistan and Pakistan - and the New York Times, are right to seek to ‘tell the truth’ and expose this story of ambush, murder and injustice in the AfPak borderlands in 2007. That, along with making a profit, is what serious journalists and serious publications are supposed to do. Here is another example of a similar story about the unjust ambush and murder of 16 men in the AfPak borderlands in 2006. "Raziq and his men loaded their captives into a convoy of Land Cruisers and headed out to a parched, desolate stretch of the Afghan-Pakistani border. About 10 kilometers outside of town, they came to a halt. Shin and the others were hauled out of the trucks and into a dry river gully. There, at close range, Raziq’s forces let loose with automatic weapons, their bullets tearing through the helpless men, smashing their faces apart and soaking their robes with blood. After finishing the job, they unbound the corpses and left them there." "Though Raziq has risen in large part through his own skills and ambition, he is also, to a considerable degree, a creation of the American military intervention in Afghanistan. (Prior to 2001, he had worked in a shop in Pakistan.) As part of a countrywide initiative, his men have been trained by two controversial private military firms, DynCorp and Xe, formerly known as Blackwater, at a U.S. -funded center in Spin Boldak, where they are also provided with weapons, vehicles, and communications equipment. Their salaries are subsequently paid through the Law and Order Trust Fund for Afghanistan, a UN-administered international fund, to which the U.S. is the largest contributor. Raziq himself has enjoyed visits in Spin Boldak from such senior U.S. officials as Ambassador Karl Eikenberry and Generals Stanley McChrystal and David Petraeus." "General McNeill, who is retired, remembers the episode as the worst moment of his second tour as commander in Afghanistan, not only because he knew Major Bauguess and his family, but also because he never received satisfactory explanations in meetings with his counterpart, the Pakistani vice chief of army staff, Gen. Ahsan Saleem Hyat." "In public, American officials had until recently been careful to downplay Raziq’s alleged abuses. When I met with the State Department’s Moeling at his Kandahar City office in January, he told me, “I think there is certainly a mythology about Abdul Raziq, where there’s a degree of assumption on some of those things. But I have never seen evidence of private prisons or of extrajudicial killings directly attributable to him." "Yet, as a 2006 State Department report shows, U.S. officials have for years been aware of credible allegations that Raziq and his men participated in a cold-blooded massacre of civilians, the details of which have, until now, been successfully buried." "As for the Afghans, they still want answers. “Why did the Pakistanis do it?” General Same of the Afghan Army said. “They have to answer this question." "It was a tribal conflict,” Waheed said, shaking his head, his long fingers trembling as they tapped against his cheek. “Raziq had a problem with Shin, but why did he have to kill all the others?" "Toward the end of 2009, senior ISAF officials reportedly thought about pushing for Raziq to be replaced. According to leaked cables, a high-level meeting was convened in Kabul, chaired by Deputy Ambassador Earl Wayne and Major General Michael Flynn, to discuss the problematic behavior of Raziq, among others. “Nobody, including his US military counterparts,” one cable noted, “is under any illusions about his corrupt activities.” Ultimately, however, General McChrystal, who was then the commander of ISAF and U.S. forces, decided that Raziq was too useful to cut loose, according to an article in The Washington Post. (McChrystal, through a spokesperson, declined to comment.) Cables also reveal that an American information-operations team even proposed a plan, “if credible,” for “the longer-term encouragement of stories in the international media on the ‘reform’ of Razziq." We wait with bated breath for a time when there will be a US policy push for the longer-term encouragement of stories in the international media on the ‘reform’ of Pakistan. "Vagrant journalists are notorious welshers, and to those who travel in that rootless world, a large unpaid bar tab can be a fashionable burden. There was no shortage of people to drink with in those days. They never lasted very long, but they kept coming. I call them vagrant journalists because no other term would be quite as valid. No two were alike. They were professionally deviant, but they had a few things in common. They depended, mostly from habit, on newspapers and magazines for the bulk of their income; their lives were geared to long chances and sudden movements; and they claimed no allegiance to any flag and valued no currency but luck and good contacts. Some of them were more journalists than vagrants, and others were more vagrants than journalists – but with a few exceptions they were part-time, freelance, would-be-foreign correspondents who, for one reason or another, lived at several removes from the journalistic establishment. Not the slick strivers and jingo parrots who staffed the mossback papers and news magazines of the Luce empire. Those were a different breed. …In a sense I was one of them – more competent than some and more stable than others- and in the years that I carried that ragged banner I was seldom unemployed…It was a greedy life and I was good at it. I made some interesting friends, had enough money to get around and learned a lot about the world that I could never have learned in any other way. Like most of the others, I was a seeker, a mover, a malcontent, and at times a stupid hell raiser. I was never idle long enough to do much thinking, but I felt somehow that my instincts were right. I shared a vagrant optimism that some of us were making real progress, that we had taken an honest road, and that the best of us would inevitably make it over the top. At the same time, I shared a dark suspicion that the life we were leading was a lost cause, that we were all actors, kidding ourselves along a senseless odyssey. It was the tension between these two poles- a restless idealism on one hand and a sense of impending doom on the other – that kept me going." 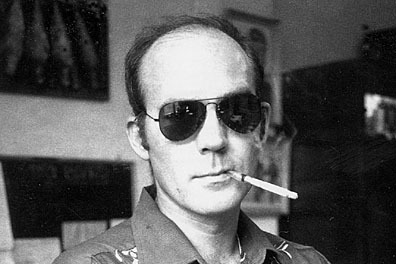 Hunter S. Thompson killed himself in 2005. Excellent article man... I so wish I could write like you. Do you have any good writing tips? I personally thought that this was a terrible article, and a missed opportunity at objectively analyzing an alarming incident. "New Details Reveal Face of Pakistan as Enemy"
Now I don't know if the New York Times print edition also carried this or not, but I would imagine that it would have done so. The narrative the author appears to be conveying is that Pakistan, or at least its army, is untrustworthy and that the US-Pak alliance has directly resulted in American deaths. "Both Generals Helmly and McNeill accept as plausible that a lone member of the Frontier Corps, whether connected to the militants or pressured by them, was responsible, but they also said it was possible that a larger group of soldiers was acting in concert. The two generals said there was no evidence that senior Pakistani officials had planned the attack." It would have far better for the author to focus less on Pakistani duplicity and more on the fracturing of the Pakistani military command structure. The incident highlights the level of anti-American sentiments and disenchantment with the present conflict felt by ordinary Pakistani soldiers. There has been a visible increase in the number of Pakistani military personnel, enlisted soldiers and officers, going rogue. This is a dangerous development and one that makes me extremely jittery. Is it possible that the reason why the Pakistani army establishment does not want to initiate any further military actions is because they cannot trust their own people to remain loyal? AKS your comment, and particularly the last para is insightful, and needs to be explored and expanded. Bravo. As for the suggestion (on the comment form) of not using the anonymous option, well I find it very cute from a blog whose writers are never named. AKS: Interesting comments. You talk of "the fracturing of the Pakistani military command structure" and said that "There has been a visible increase in the number of Pakistani military personnel, enlisted soldiers and officers, going rogue." Do you have any empirical evidence to back that up with? Or is it just one of those feelings backed by anecdotal stories? Incidentally, the threat of "potential" division being caused within the ranks of jawans by an unpopular operation has long been talked about even by the military as one reason for not rushing into military operations in the tribal areas. I am not sure why you think that Pakistani treachery at a peace meeting on the Afgan-Pakistani border is equivilent to a war lord's massacre of 16 people. Or more precisely, why American international reporting should place just as much importance on both news articles? You never made your case other than the innate failings of demented, alchoholic tramps posing as journalists. Very good post. Troubling that the on ground stories are not reported in the mass media. We need mroe Hunter Thompsons! With respect to Pakistan bashing on US media I do not think it is going to stop until Pakistan attacks North Waziristan. Until that happens Pakistan is going to be the main target. This feels like way, way above my pay grade. MSS (And others at Cafe Pyala) please don't feel stressed. There are others with you. The strange case of sudden pressure on Pakistan is an interesting development. I would just point out that Tariq Ali did mention the story of the Frontier Corps soldier who went rogue and killed a visiting American officer, a couple of years ago. One more question is why the US Government sat on that story for years and pulled it out only at a time when it would embarass the Pakistanis. I would say that a lesson Pakistanis should take away from this is to discourage illegal actions, because they get pulled back and shoved in our faces, a few years down the line to blackmail and pressurise us. NastySurprises.Com.Pk would be the chronicle of horrendous (and blackmail-worthy) Pakistani illegal behaviour.